Paris’ public transportation takes visitors just about anywhere. 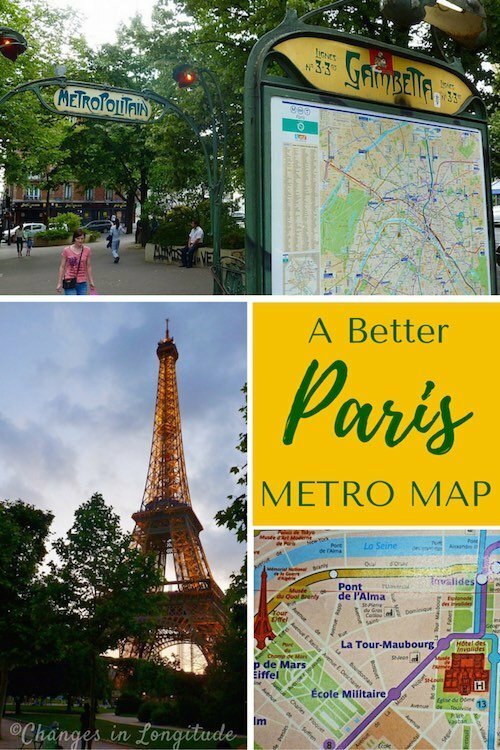 However, while the popular Paris Metro map shows the train routes as a series of colored lines that give a general idea where they’re located, it doesn’t show a visitor exactly where they are compared to the actual streets above ground. 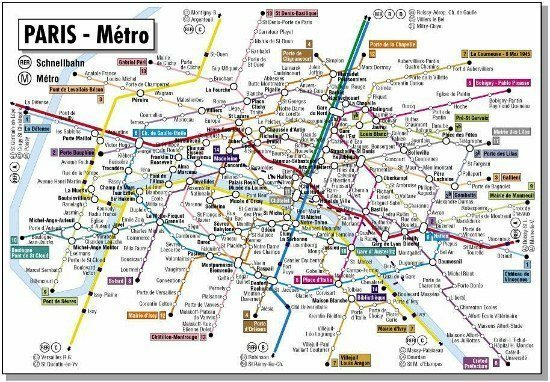 The schematic Paris Metro map does not show the streets. 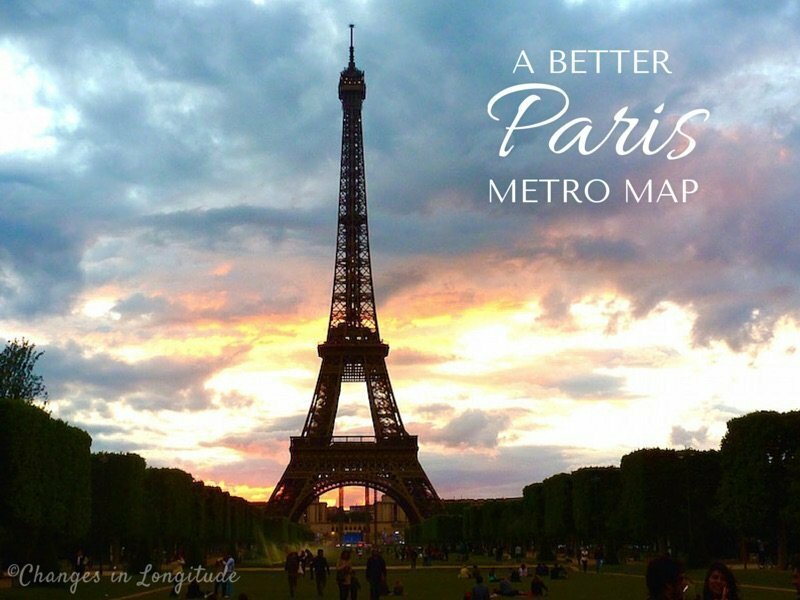 The key to using the system is a better Metro map, and fortunately such a map exists. The most valuable travel aid while visiting Paris is the grand plan lignes avec rues (lines with streets). This free fold-out map is published by the RATP, Paris’ public transit system. It shows the vividly colored Metro lines overlaid atop an actual street map of the city, including major landmarks and parks. The grand plan lignes avec rues shows the visitor exactly where they are. 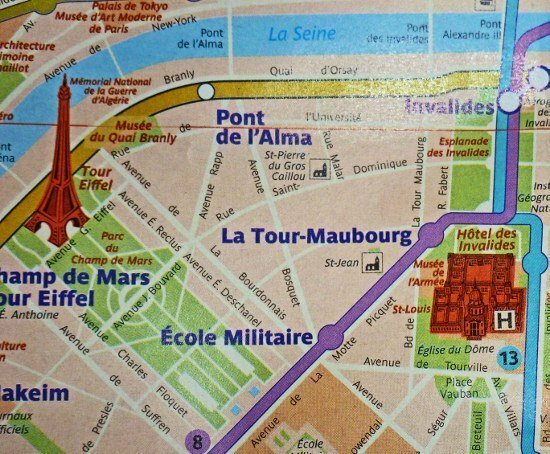 The map “avec rues” shows exactly where the stops are. The opposite side of the grand plan lignes avec rues offers the same street map of Paris, this time overlaid with brightly colored bus lines. There are times when a bus is a better option than the Metro, stopping closer to a specific destination or offering a more direct route. 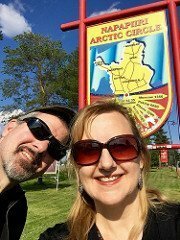 It’s also a money saver: taking public buses in foreign cities is a great way to see the sights at a leisurely pace, at a fraction of the cost of local tour buses. Flip the map over to see where the buses run. Certainly there are similar apps that can be downloaded to smart phones. But this is one case were a map is better than an app. A physical map shows the big picture, something that is difficult for a tiny phone screen. Paris’ map which overlays the transit system with the city streets is a handy tool, particularly with the bus lines included. The map is available at major bus and train stations throughout the city. Be sure to get the version avec rues, which includes the overlay of the streets. 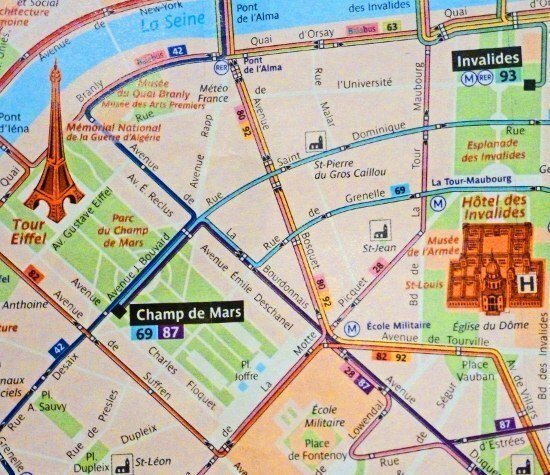 Armed with this user-friendly map, anyone can soon be navigating around Paris like a native. 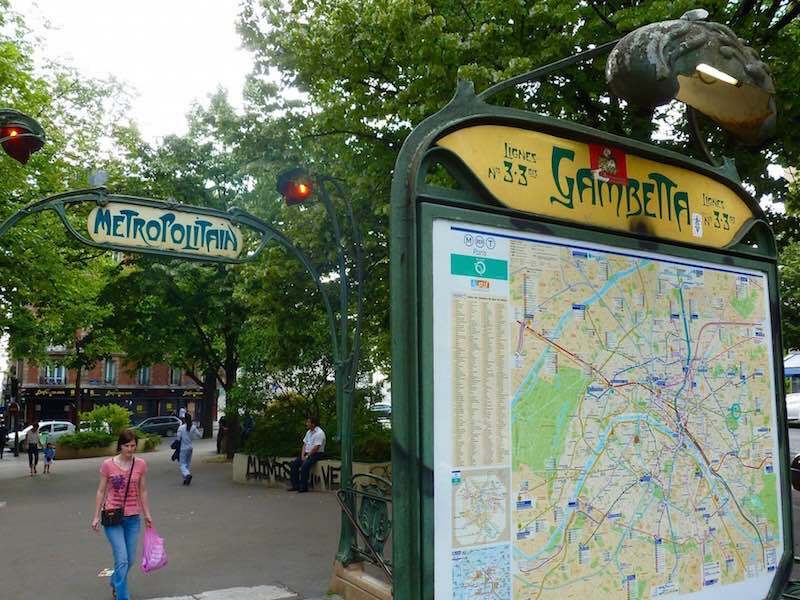 Take a Paris Walking Tour! 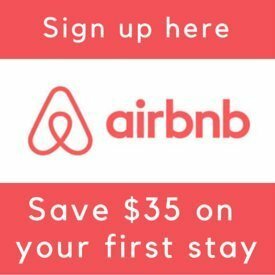 Check the latest prices on Paris Hotels . While you’re in the City of Light, here are some of our favorite less crowded sights in Paris.